Small $D$ implies rounding errors and such cases are less interesting. Scatter plot $log(R)$ vs $log(D)$ is attractive, but how to deal with negative $D$ values? Not the answer you're looking for? Browse other questions tagged statistics data-analysis data-mining or ask your own question. 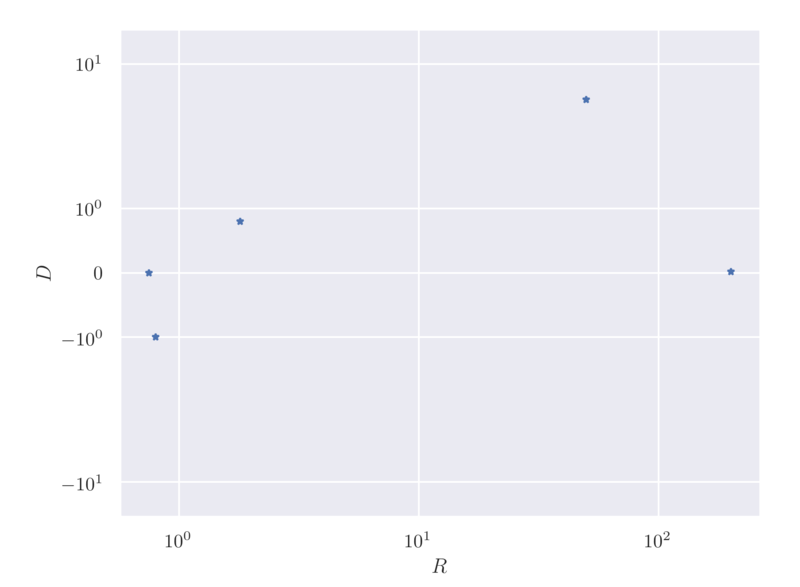 How to find (and plot) a probability distribution function? Histogram, box plot and probability plot - which is better for assessing normality? Reason for ratio function for comparing predicted and actual values produced by Weighted Moving Average?